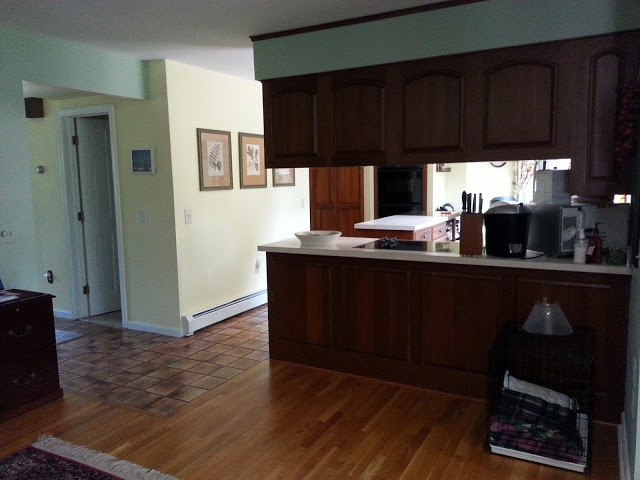 This post is the third in a series detailing my experience with my kitchen renovation. Previously I wrote about accepting that a renovation is needed and the five questions to answer before starting a kitchen renovation project. Once I had some clarity about what I wanted my new kitchen to look like, and I had established an overall target budget for the project, I needed to determine how to go from the "idea" to an actually finished kitchen. That meant I needed a "PLAN". 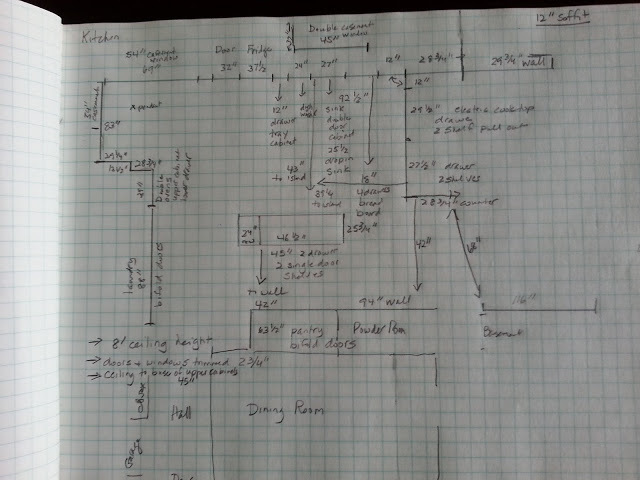 The first step of my plan was to complete a drawing of the layout I wanted for my kitchen. This was easy for me because I didn't want to change very much about my existing layout. I had lived with, and loved, my existing kitchen layout for many years. That may be a reason I had resisted a kitchen renovation for so long. The existing kitchen was working pretty well as it was. You can be fancier than I when drawing your plan, but all I needed was a measuring tape, a piece of graph paper and a pencil. My plan is not drawn to scale, but I did try to keep the sizing relative. I also included accurate measurements for all of the spaces. I anticipated using this drawing when speaking with prospective kitchen designers and other trade professionals and I knew they would want specific measurements. I thought long and hard about the existing placement of all the cabinets. Did I want to replace any of them with a different function? Would I replace stationary shelves with pullout shelves or drawers? 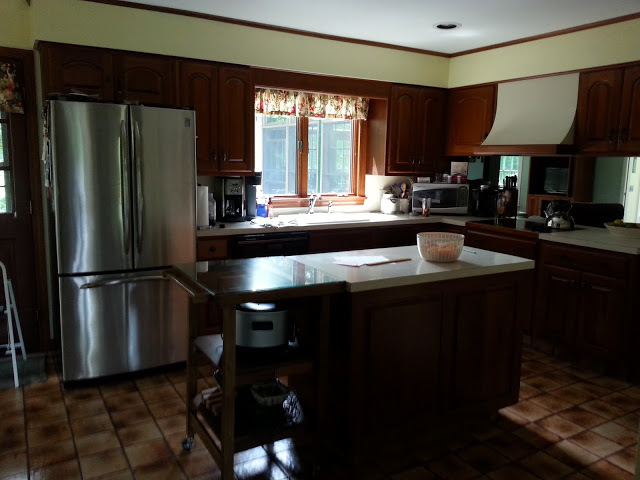 One thing I knew for sure was that the existing row of cabinets above the cooktop, that separated the kitchen from the family room, would be removed. I was concerned about losing storage space so I needed to be sure the storage space that would be lost by removing those cabinets would be found somewhere else in the plan. I also knew I wanted to eliminate as much of the counter clutter as was possible. Remove baseboard heater along the wall. Install kick heated under sink cabinet. This became my project task list with each item requiring a budget. For the budget I started a spreadsheet, listing each task and assigning each a target budget. Once this was done I felt ready to begin talking to kitchen designers and installers. Be sure to bring your sketch and your wish list with you to these discussions. They will show the scope of the project and help you to get a sense of approach your prospective partners will use. It will also show the professionals you are ready to get started with the renovation. Those discussions will take you to the next step, getting inspiration, my next update in this series in planning a kitchen renovation, Getting Inspiration.